The organizers of the Grammy Awards has announced the first group of artists expected to perform at this year's edition. This was announced on Thursday, January 17 via their social media pages coming days after Alicia Keys was revealed as the host of this year's edition. 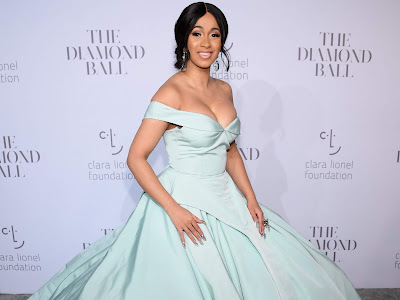 Cardi B has five nominations this year, including Record Of The Year for I Like It, Album Of The Year and Best Rap Album for her debut full-lenght, Invasion Of Privacy , Best Pop Duo/Group Performance with Maroon 5 for Girls Like You and Best Rap Performance for Be Careful. This year's edition of music's most glamorous award ceremony will hold on Sunday, February 10, 2019 at the Staples Center in downtown Los Angeles.